This precious pair reminds me of Simba and Nala - adventurous, playful and utterly adorable! 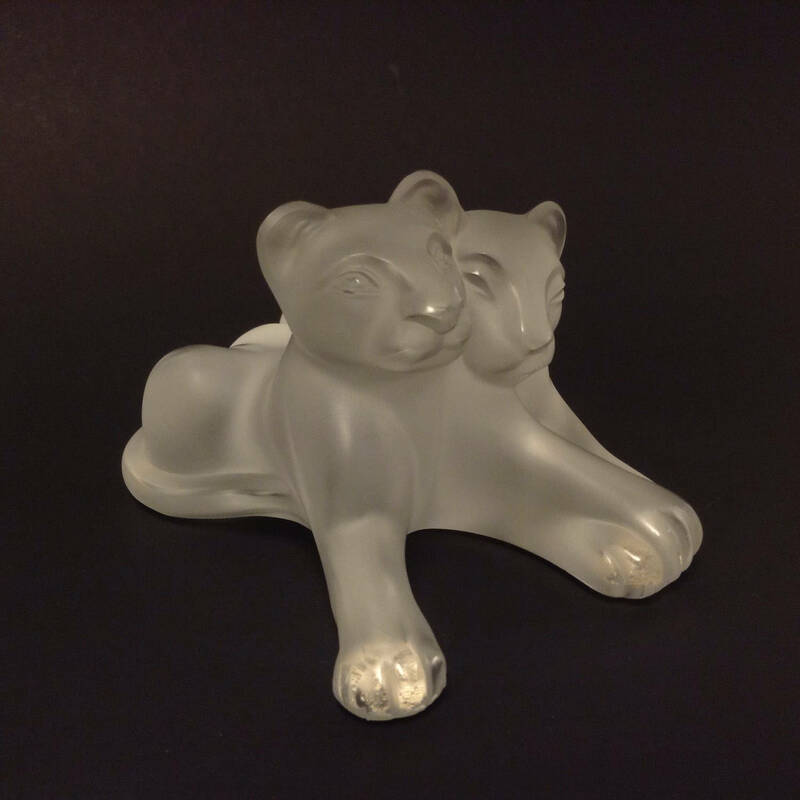 Made in France, this Lalique "Tambwee" Lion Cubs sculpture is represented in clear, frosted crystal. The figurine was designed by Marie-Claude Lalique in 1990 to celebrate the birth of the African lion cubs. The piece is in excellent vintage condition with no chips, cracks, loss or repairs and measures 3" high by 3 3/4" wide (at widest part) by 5" deep. The original sticker - LALIQUE PARIS - is affixed to the side; it is pulling off at one corner. The sculpture is also etched-signed on the bottom in script: Lalique ® France (an indication this is a modern crystal piece made after 1978). The piece sits on four light beige felt pads; there is no box. Lalique crystal - simply elegant and very, very beautiful!